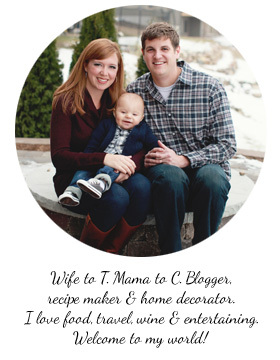 Explore Love Eat: Throwback Thursday: Santa! 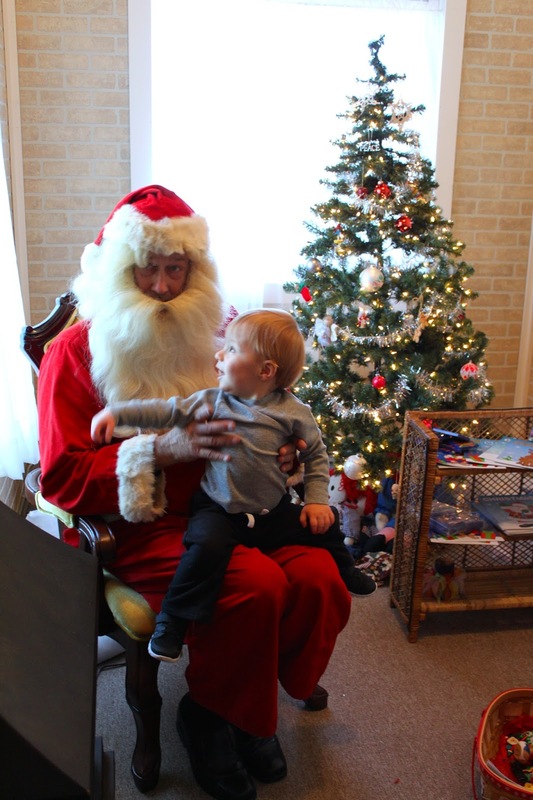 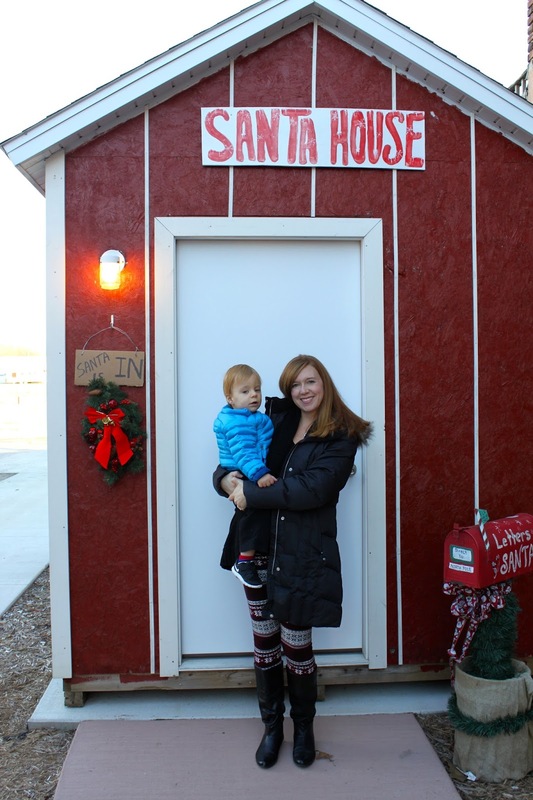 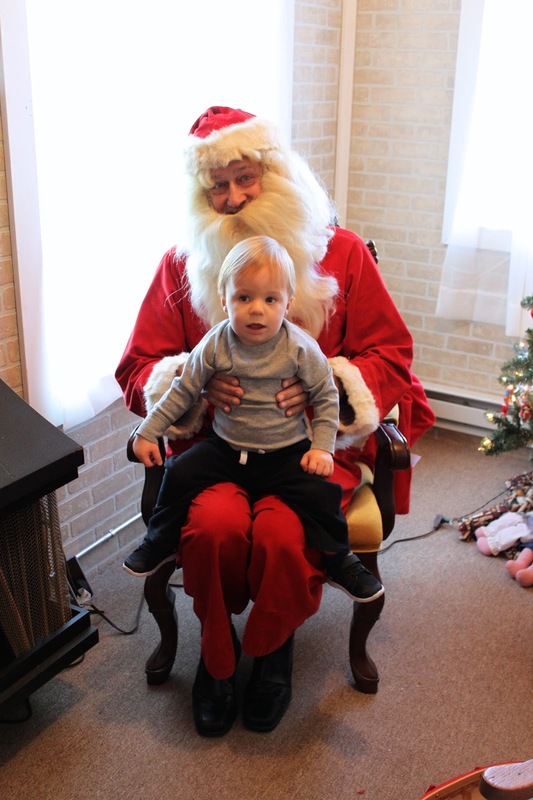 Just before Christmas, we took C to visit Santa at the Kiwanis sponsored 'Santa House' in our hometown. 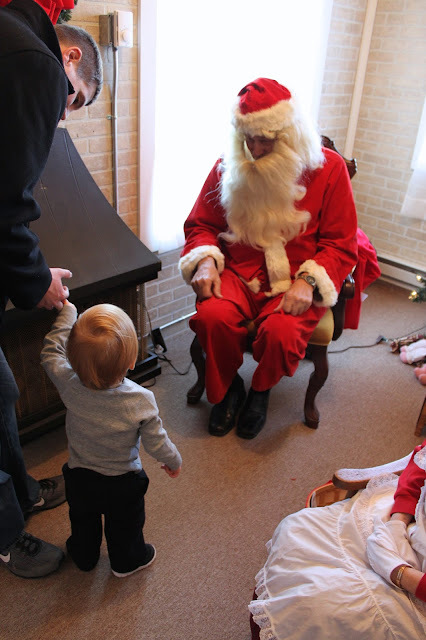 T was convinced that there was no way the trip would go smoothly, and I wasn't really sure what to expect since C was so young last year when he visited Santa that there's no way he could remember. Before heading in, we stopped for a pic with the cutest little Santa House this side of the North Pole. 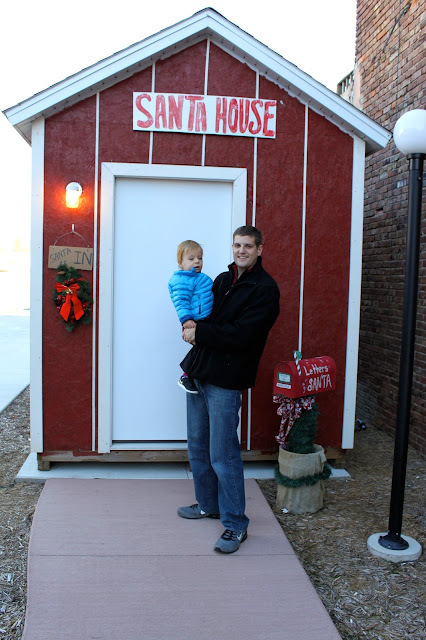 Next year, we'll have to bring a letter! 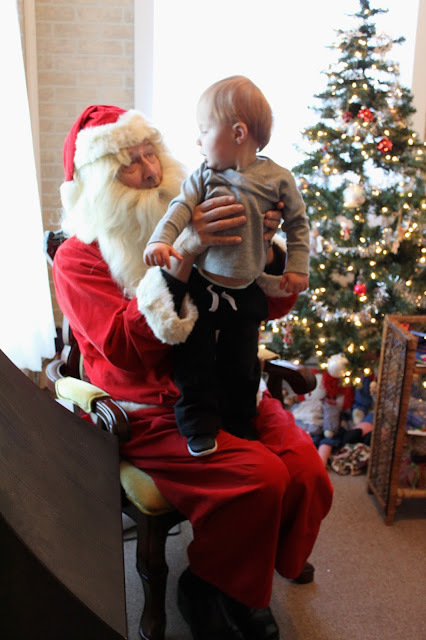 Luckily for all of us, C had a hot minute to take everything in while we waited for another little guy to tell Santa his wishes. 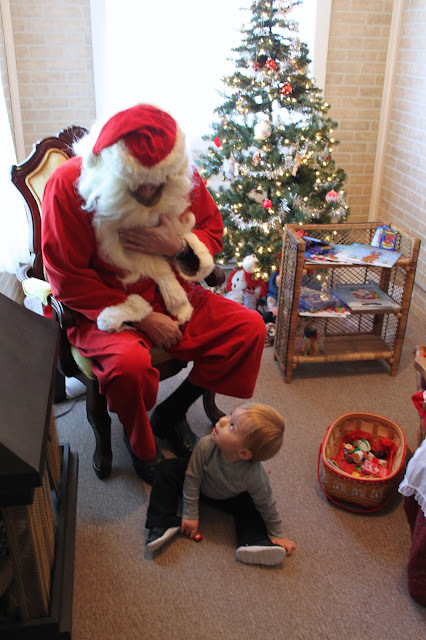 He watched with great curiosity, and when it was his turn, decided that he was OK with sitting on Santa's lap, and was all kinds of interested about his fuzzy white beard. 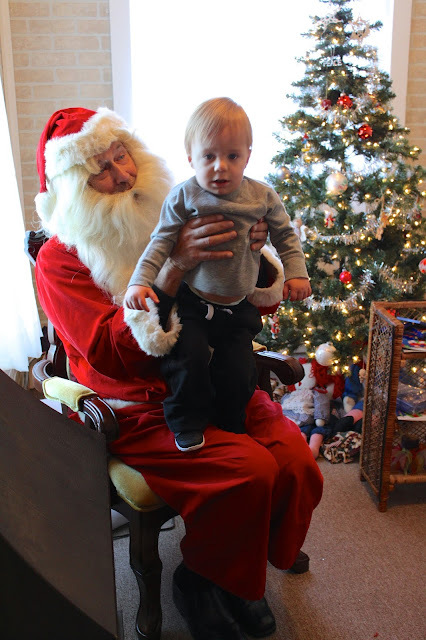 I'm not gonna lie, it may have helped that Santa had a matchbox car and a coloring book to gain his trust with, and a friendly Mrs. Claus by his side!